A few years ago, as the economic crash of 2007 was sliding into our Great Recession, I wrote a satirical piece about an Orwellian government program that introduced virtual slave camps to the U.S. under the guise of easing unemployment, homelessness and debt peonage. The program was called COBRA, the Corporate-Operated Bankruptcy Recovery Act. COBRA camps swallowed up the poor and indebted with the promise of housing, employment and forgiveness of debt. Their real purpose, of course, was to provide corporations with small cities of cheap, nonunion labor. The idea struck me as both far-fetched and quite plausible. What I did not know at the time was that an eerily similar, but real, phenomenon was spreading like gangrene through the body of the global working class. To be sure, some countries, Pakistan and Namibia for instance, revoke their national labor laws outright in their SEZs. “But even when this is not the case,” write Kennard and Provost, “these zones have become hotspots for workers’ rights violations.” Organizers have great difficulty gaining access to workers in the zones, and SEZ workers who attempt to reach out to unions or foment dissent within the zones can quickly find themselves out of a job. SEZs can be thought of as bubbles, isolated worlds where time has been reversed and liberal reforms rolled back to a period of more naked capitalism. But because these bubbles float through the air of global capitalism, when one bursts it can simply be replaced by a new bubble someplace else. And these bubbles can grow too large and burst. Kennard and Provost visit China’s Shenzhen, one of the oldest and largest SEZs in the world. At one time a small piece of land, Shenzhen has sprawled to a size of almost 800 square miles. As it grew into an immense city, workers began to mobilize, to use their numbers in efforts to organize and fight for their rights. The response of the resident corporations was to close up factories and move them to more amenable SEZs elsewhere, including Cambodia. Shenzhen had grown in other ways, though, becoming a center of tech and finance capital. The landscape of Shenzhen, in fact, bears a resemblance to deindustrialized American cities, gleaming high rises looking down on the ghost towns of factories. The human landscape is familiar too, with unemployed resident and migrant workers facing destitution while gentrification takes place in their midst. Well, one strategy corporate capital has for exploiting surplus American workers is to lock them up. Currently in the U.S., a staggering 2.3 million people are incarcerated somewhere in the criminal justice system. State prisons hold 1.3 of those inmates. The advantage to corporations in having these high numbers of prisoners can be found in the Thirteenth Amendment to the Constitution–the amendment abolishing slavery. According to the Thirteenth Amendment, “Neither slavery nor involuntary servitude, except as punishment for crime whereof the party shall have been duly convicted, shall exist within the United States, or any place subject to their jurisdiction.” Corporations that cash in on the “punishment for crime” exception to the Thirteenth Amendment, and the list is long, include Wal-Mart, McDonald’s, Whole Foods and Victoria’s Secret. These corporations are able to avoid paying prisoners the minimum wage, and in fact the average wage for prison laborers is between .23 cents and $1.15 per hour. In addition, these companies are allotted tax generous breaks for their selfless public service. Whether cynical or credulous in its enthusiasm for improving human welfare by selling exemptions to taxes, laws and regulations put in place to provide public funds and protect workers, Bell’s argument must not be dismissed as irrelevant. Even though his explicit call for SEZs in the United States is one of the earliest, he speaks for broad sections of the corporate aristocracy in his impatience with legal hindrances to an unfettered “free” market. 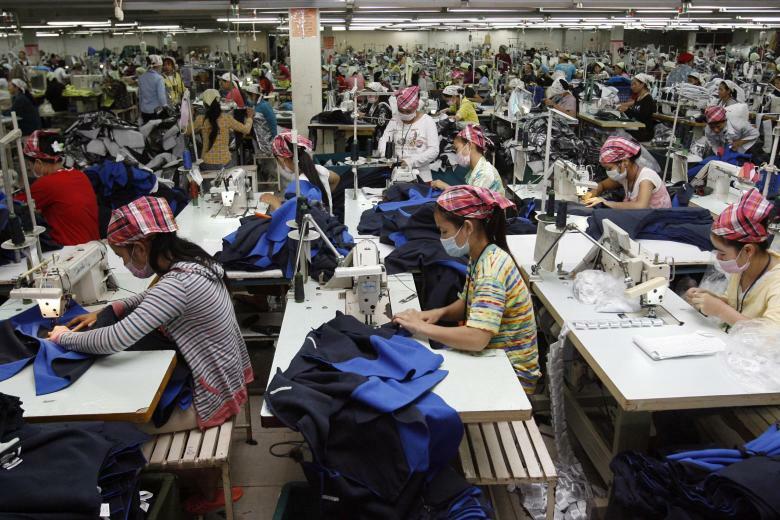 Inconveniences like corporate taxes, labor laws and the minimum wage scare away investment in manufacturing and waste the immense pools of surplus labor the U.S. has to offer global capital. Such is the logic that inexorably drives policy, and the logic of the SEZ will in time assert itself in U.S. policy, perhaps in much the way Bell envisions. Global capitalism is a race to the bottom only as long as we who work and produce the wealth agree to race against each other. The moment we realize that we are in fact being chased to the bottom by those who hand us worse jobs and tell us to be thankful for them, that is the moment we will make common cause with our brothers and sisters around the globe. This is the necessary step, as only a global effort is capable of dismantling the corporate utopia of global capital.